Why I am rooting for the Patriots and If the Patriots win the Super Bowl, credit Talker are stories of a love triangle between Talker, the Bills and the Patriots. I also explained that my shifted loyalty ensured victory for New England. As the stories go, in the late 70s and early 80s I had a youthful dalliance with New England that continued when I attended Brown University in Providence, RI. 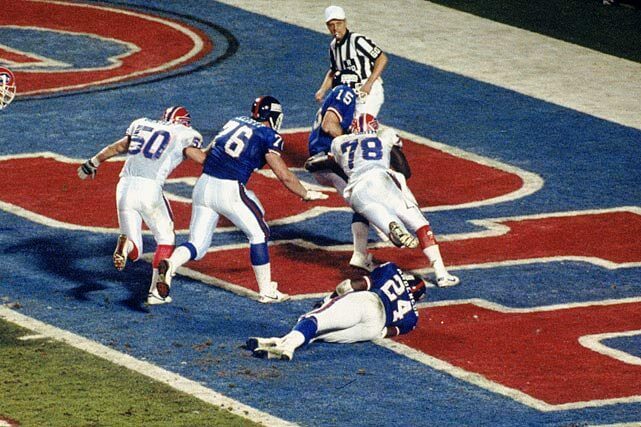 That fever passed and a decade or so later the Bills re-swept me off my feet with a four year super honeymoon (though not 100% consummated): 1990 – 1993. And did the Patriots deliver the goods, providing 5 rings compared with zero. 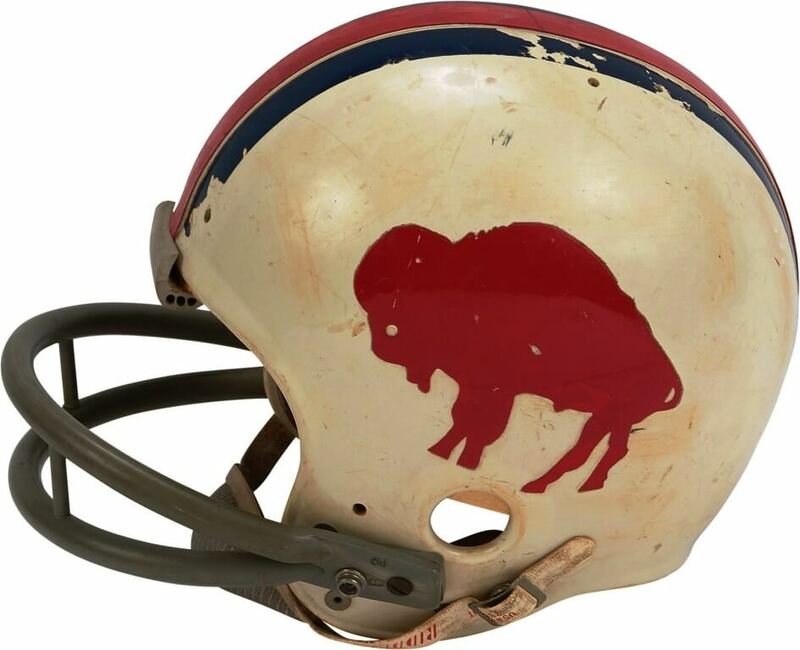 And the Bills jilted my beloved Jills. After one playoff appearance in 18 years — as a sixth seed — the divorce papers were all but written. 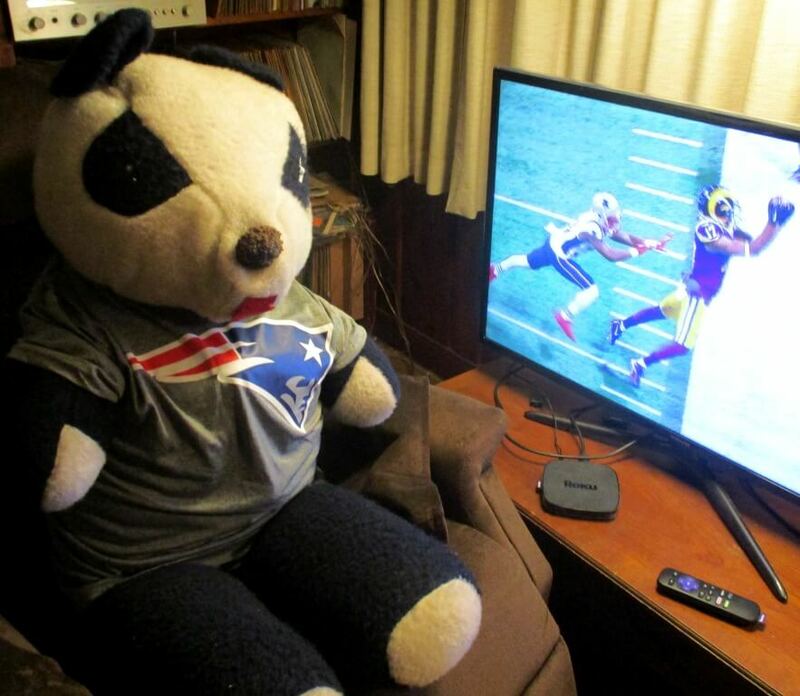 So, mascot Panda Pat and I prepared for the Pats to ram the Rams just like in Super Bowl XXXVI. But when Brady bounced back from an early interception, I could only imagine Jim. 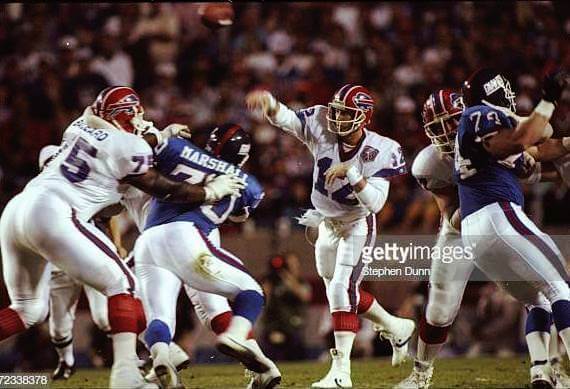 12 Jan 1991: Quarterback Jim Kelly #12 of the Buffalo Bills throws the ball against the New York Giants during Super Bowl XXV at Tampa Stadium in Tampa, Florida. The Giants won the game, 20-19. When Michel broke free up the middle, I could only imagine Thurman. When Edelman beat Talib on a third and nine, I could only imagine Andre. When Wise Jr. nailed Anderson for a loss, I could only imagine Bruce. And when Gostkowski missed a 46 yard field goal in the first quarter, I could only imagine Scott (47 yards). At halftime, I’d had enough. 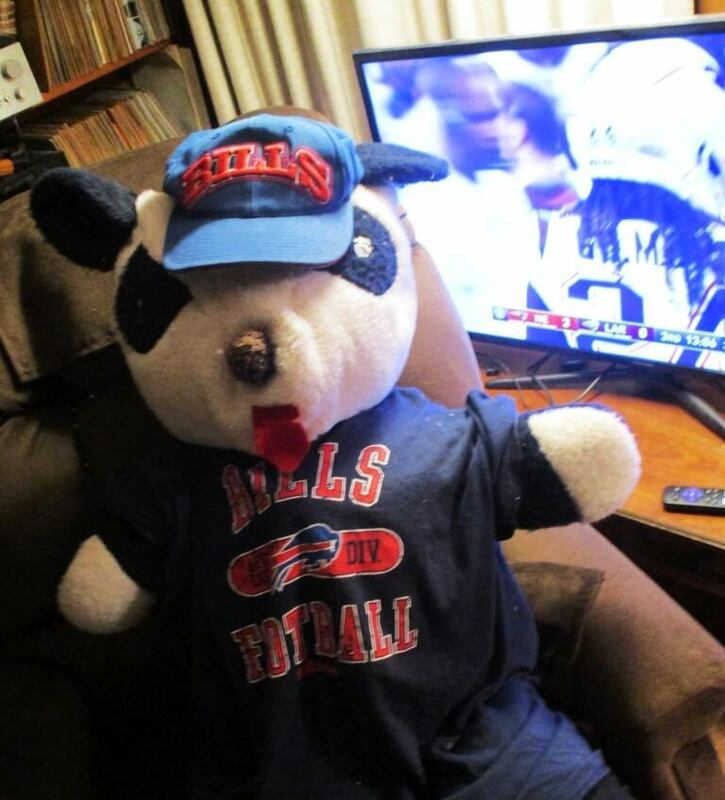 With 13:06 left in the 3rd quarter, I replaced Panda Pat with Bear Bill. I reversed course and rooted for the Patriots — the Bills’ nemesis — to lose. 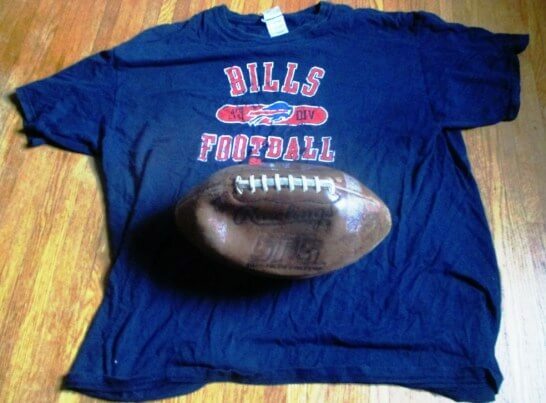 The shirt given to me by Dean and the ball we took to the St. John Fisher training camp to be signed by the Jills. 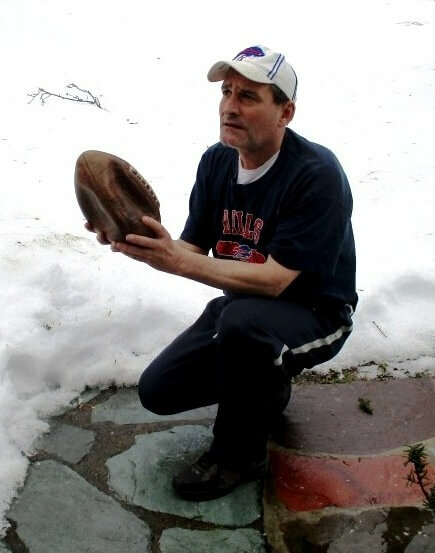 Ultimately, the football gods did not allow me to rescind my stated support for the Patriots. Once again, I rooted for a Super Bowl loser — one I caused to lose. This Super Bowl, I learned anew that being a Bills’ fan means accepting the pain of love and loss. Ironically, the closest I ever followed was 1994 when living far away in Rhode Island. 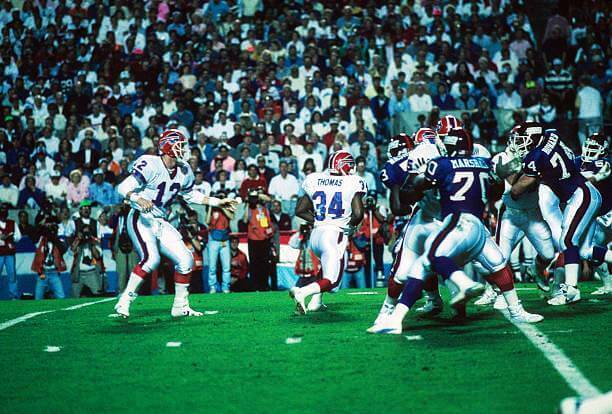 That season, the Bills heroically attempted a fifth consecutive Super Bowl appearance. But, the team stumbled down the stretch, finishing 7–9, fourth in the division. On December 18th, I suffered through a pivotal 41 – 17 slaughter by New England that propelled the Patriots into the playoffs. ‘Tis better to have loved and lost, than never to have loved at all. In the first week of the new century, in my Bonnet Shores beach house I watched in horror the “Music City Miracle.” Is it really better to have loved and lost than never to have loved at all? 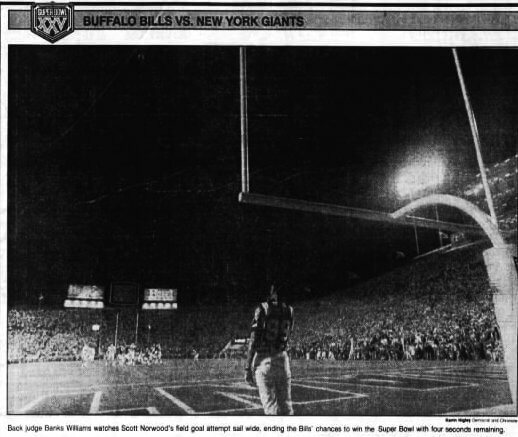 (left) 7 McMillen Way, Narragansett, RI, 1999 (right) January 8, 2000, with 16 seconds remaining in the game, Titans tight end Frank Wycheck threw a lateral pass across the field to Kevin Dyson on the ensuing kickoff return, and Dyson then ran 75 yards to score the winning touchdown and earn a 22–16 victory. 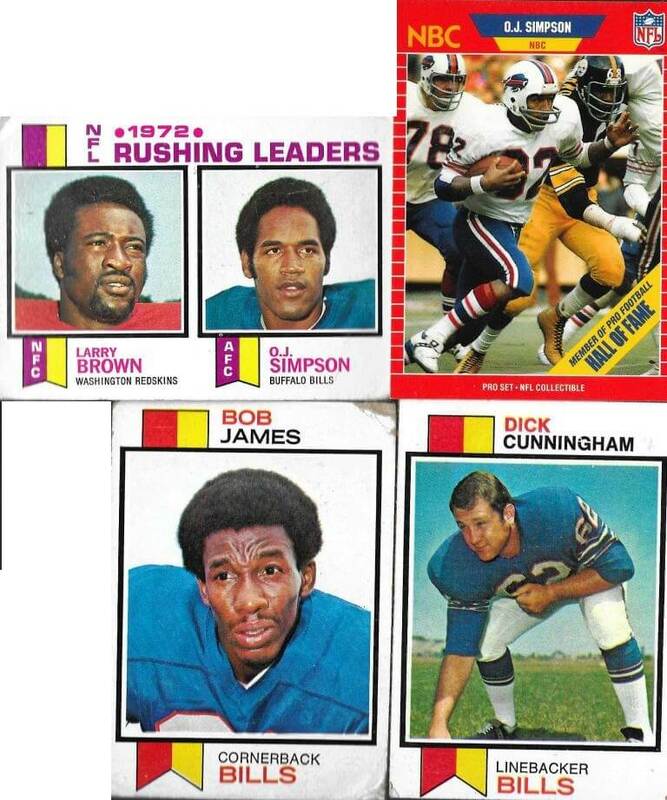 NOTE: To prove my Buffalo bona fides, I retrieved the four Bills cards in my collection. 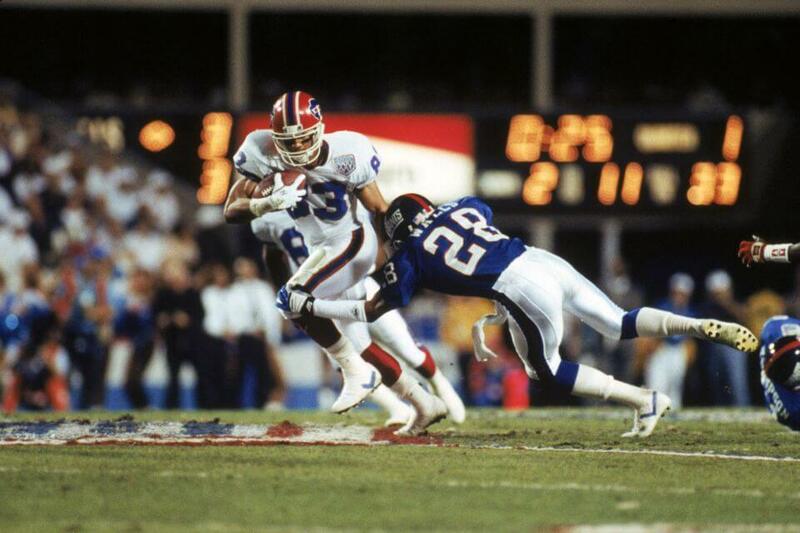 Cornerback Bob James had a solid career with the three Pro-Bowl appearances. Cunningham was basically a journeyman. 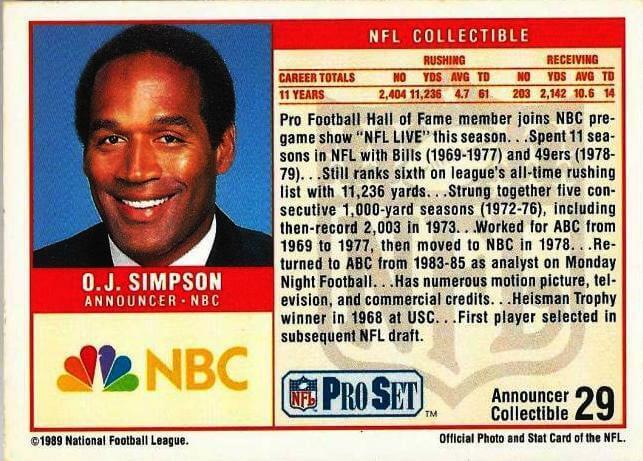 Heisman Trophy winner, Hall of Famer and broadcaster, O.J. Simpson was acquitted of double homicide. Rather than Cunningham’s beat up card, I wish I had his beat up jersey.